Chay to team up with star producer for the second time? Naga Chaitanya had scored the first blockbuster of his career with 100% Love in 2010. The film was produced by senior filmmaker Allu Aravind. 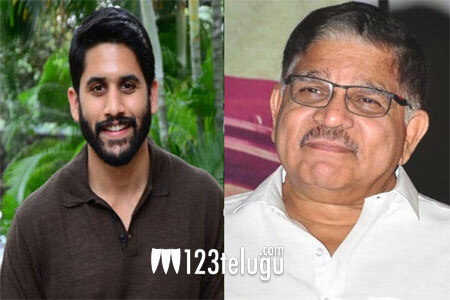 Now, if the latest buzz is to be believed, Chay is all set to join hands with Allu Aravind for the second time. Apparently, Chay is being considered for romantic entertainer to be directed by the blockbuster Geetha Govindam director Parasuram. Apparently, Chay is often seen at Geetha Arts office to discuss the project. However, we will have to wait until an official word is out from the horse’s mouth to confirm this speculation. Call it a coincidence, Chay’s brother Akhil has also been in talks with Allu Aravind for his next project. Bommarillu Bhaskar is said to be directing this project. Stay tuned for further details.